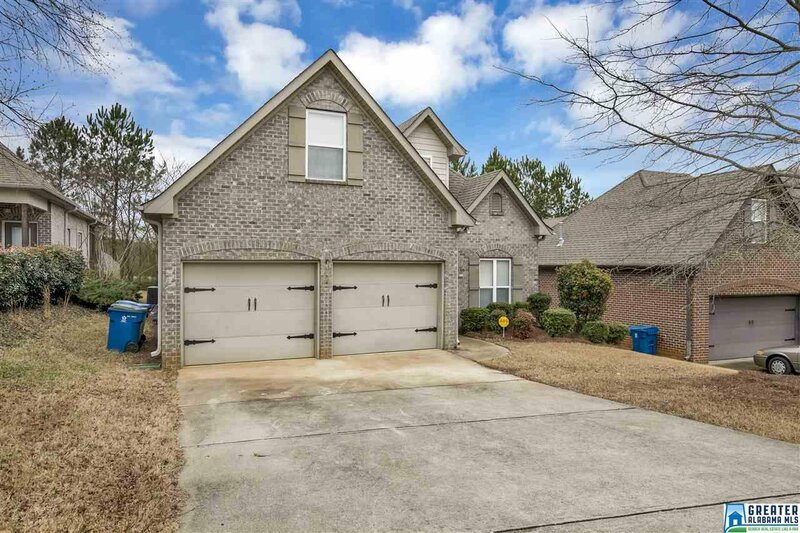 Full brick, 4-5 bedroom, 3 full bath garden home w/ 2 car garage. 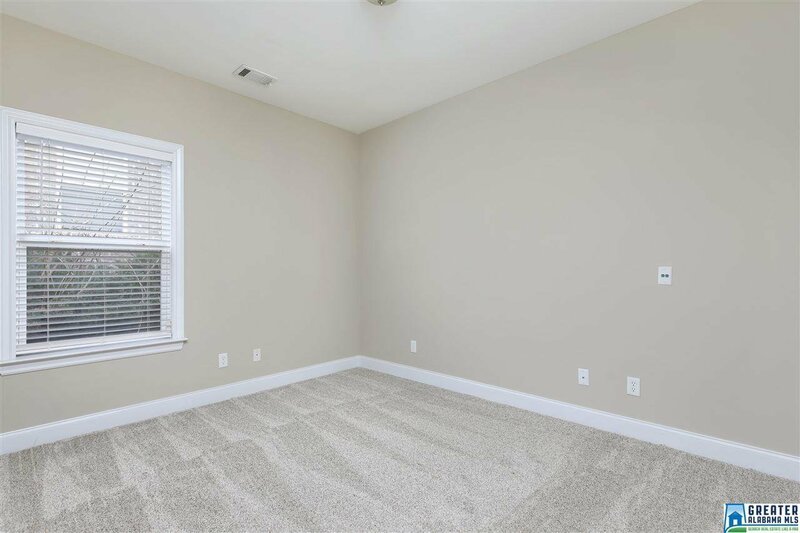 Brand new fresh paint and carpet throughout. 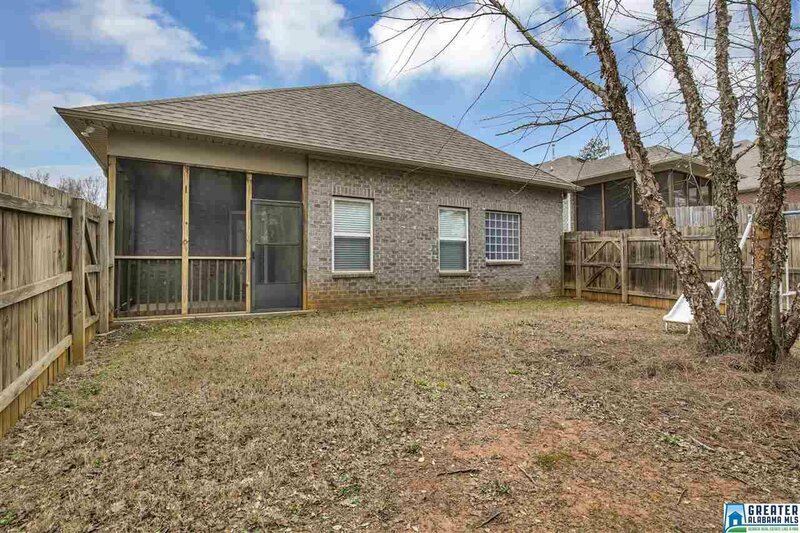 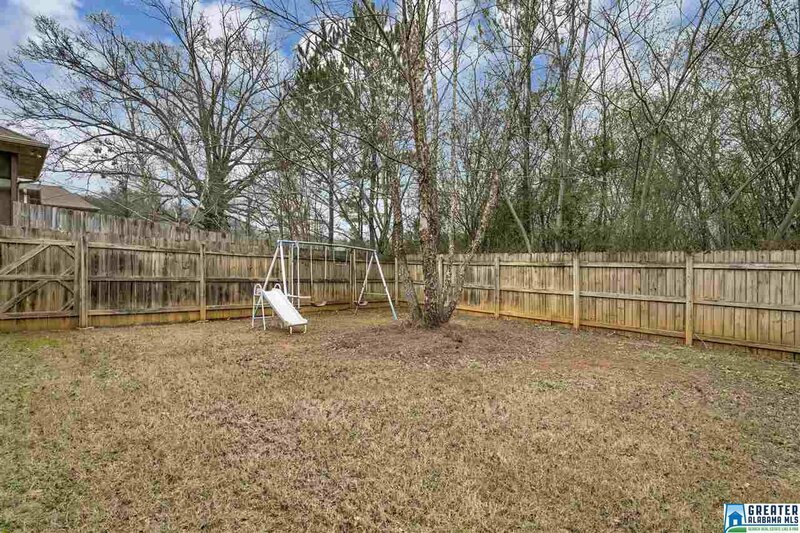 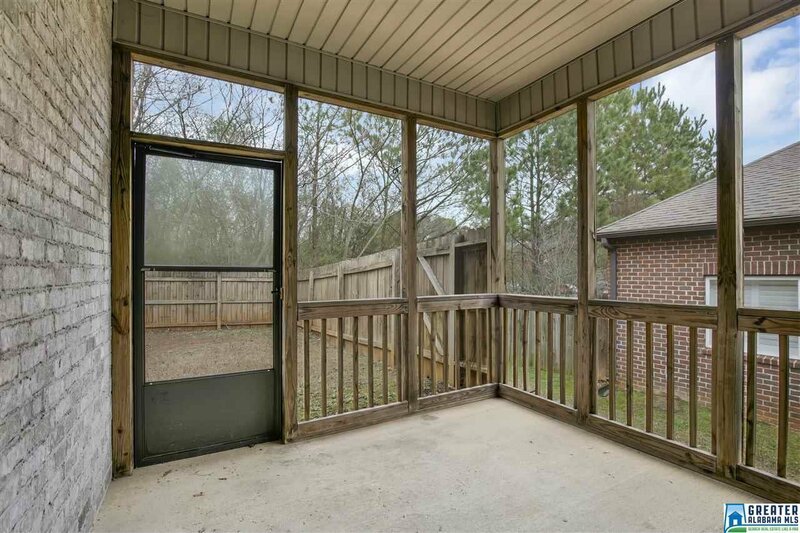 Nice, flat lot w/ spacious, wood-fenced back yard, covered patio. 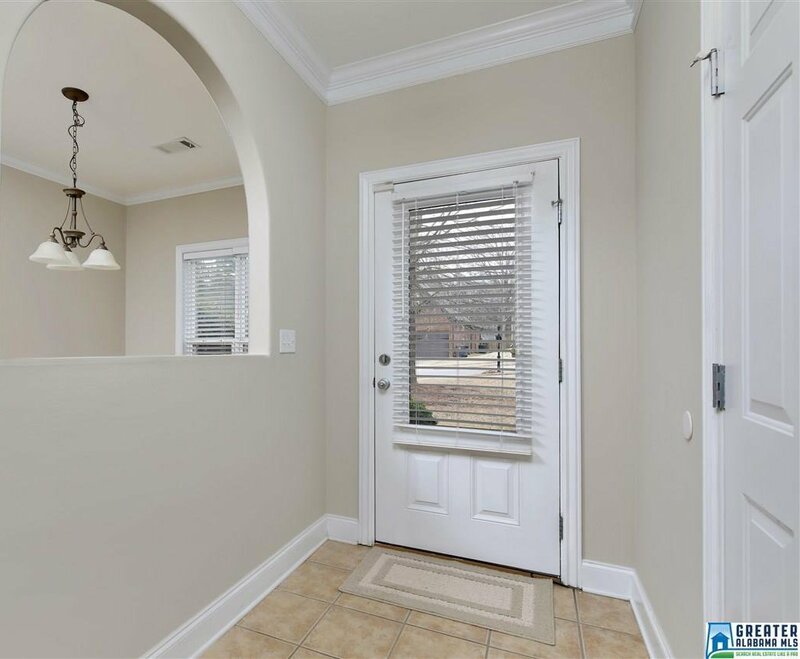 Main level features arched doorways and bull nose corners. 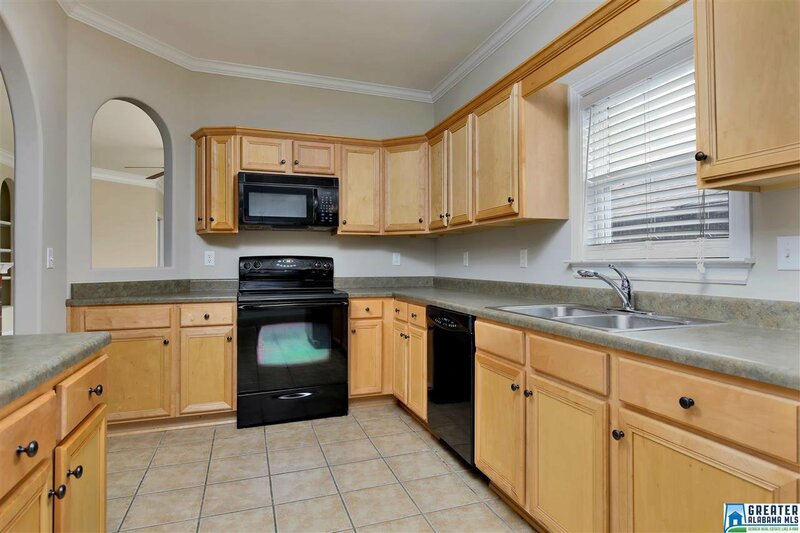 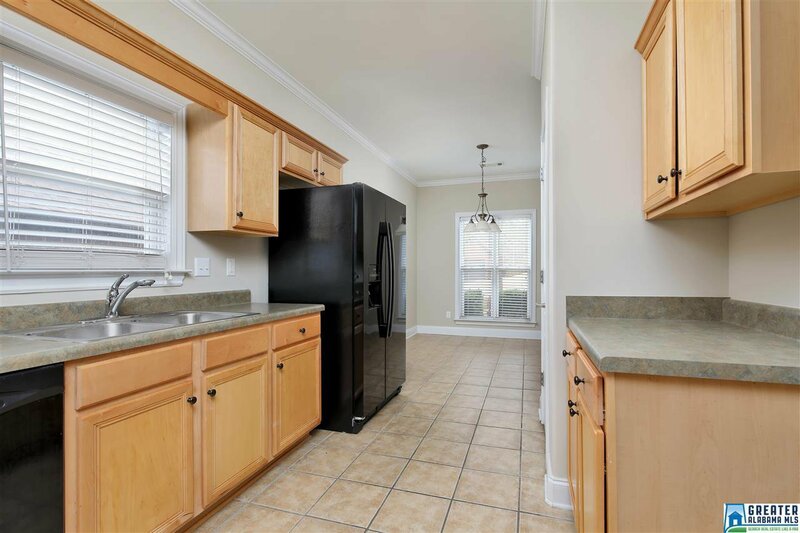 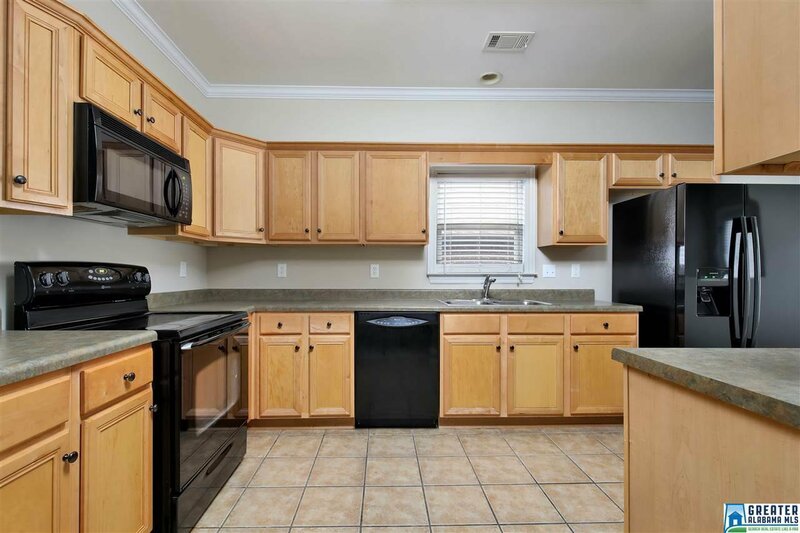 Kitchen has generous amount of counter and cabinet space, matching black appliances, dining/breakfast room. 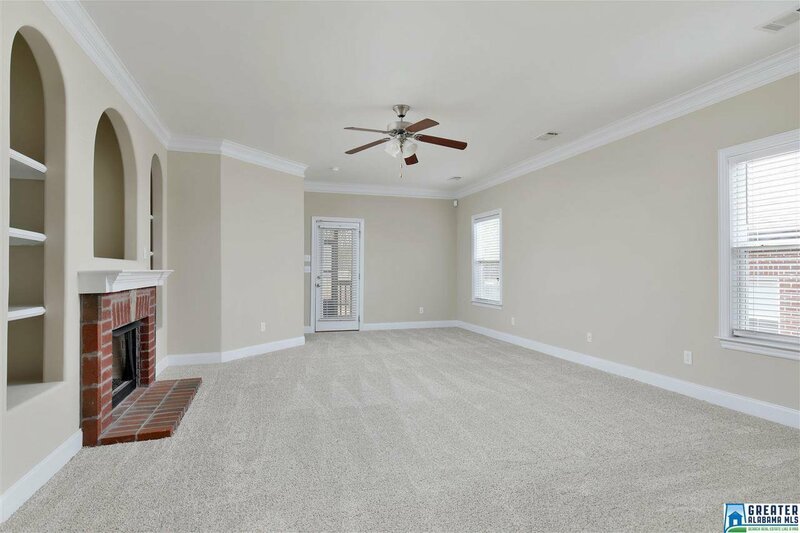 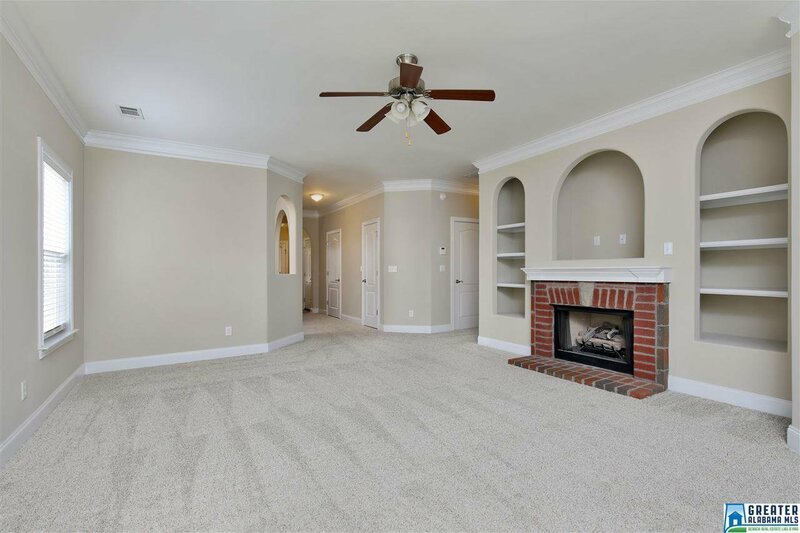 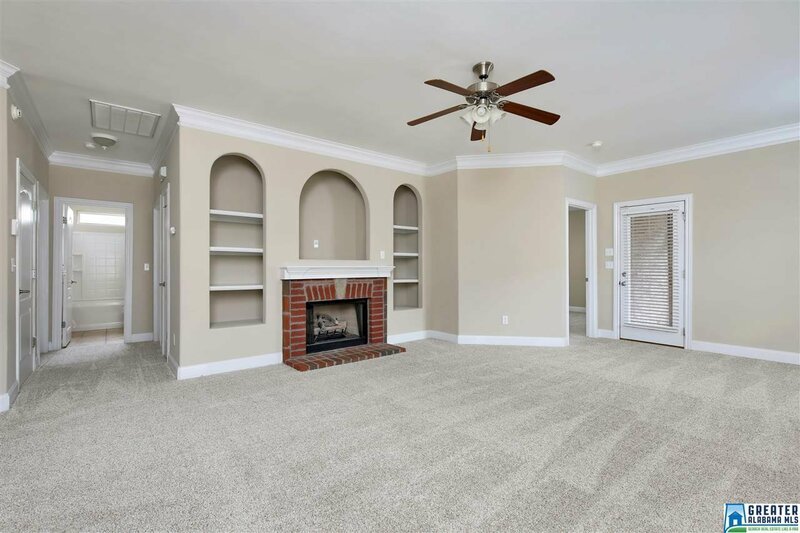 HUGE living room has built-in arched shelving and tv alcove, and brick fireplace. 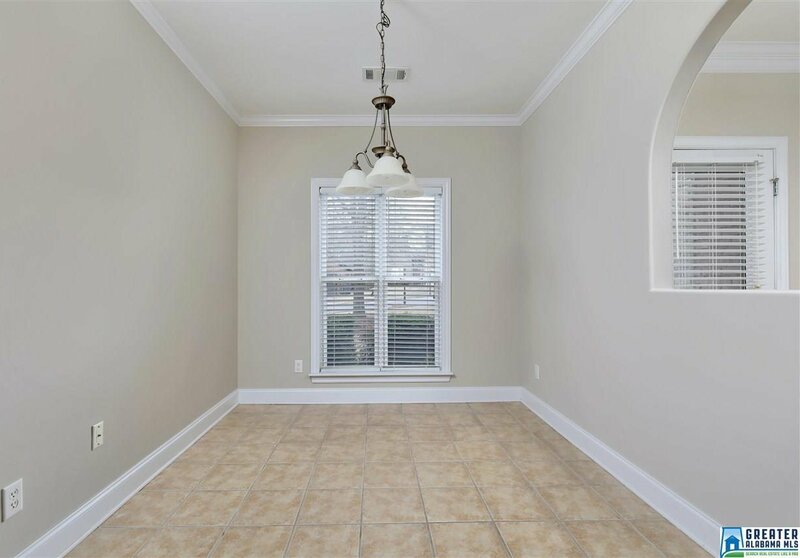 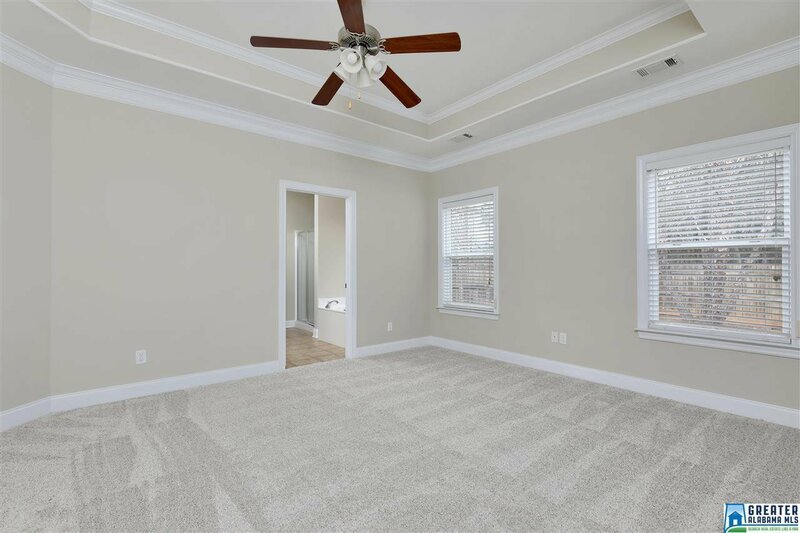 Crown molding, plantation blinds throughout. 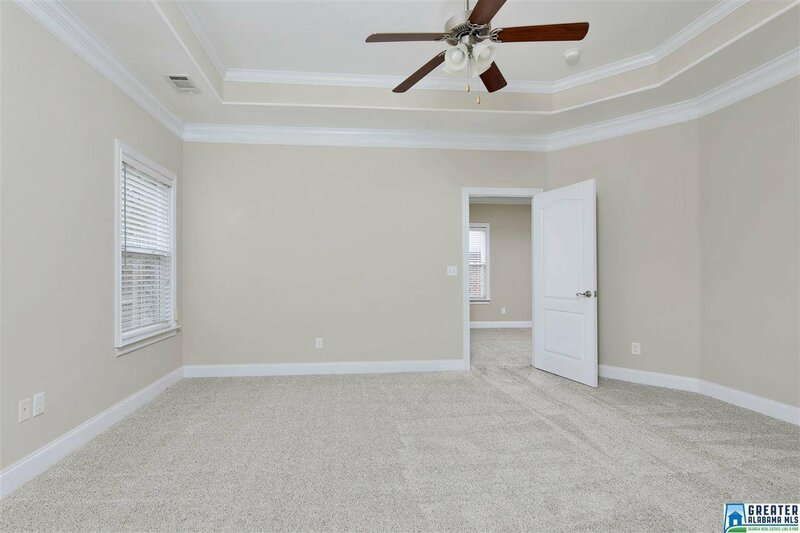 Master suite has tray ceiling and can accommodate any size furniture. 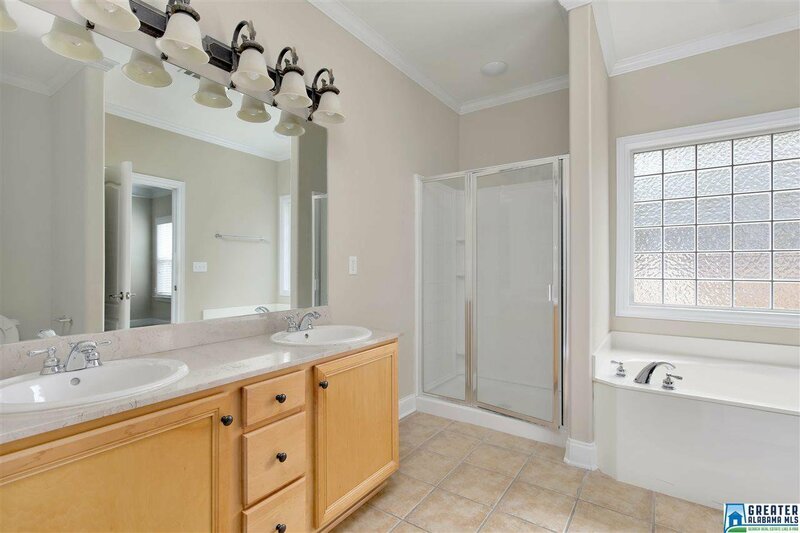 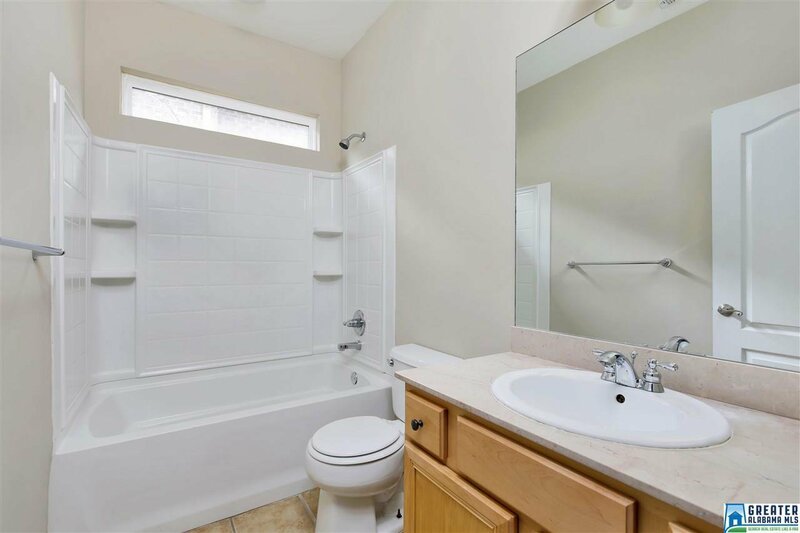 Master bath features garden tub, sep shower, dual vanities, large walk-in closet. 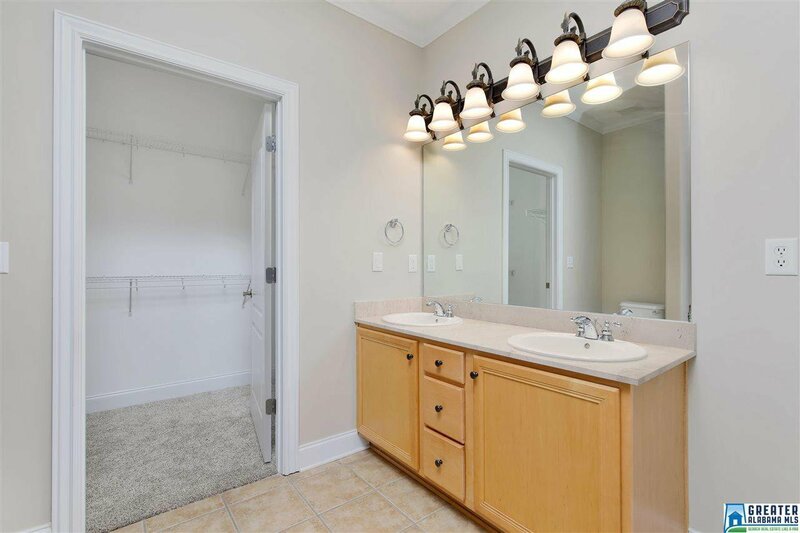 2nd and 3rd main level bedrooms are spacious w/ large closets, shared full bath. 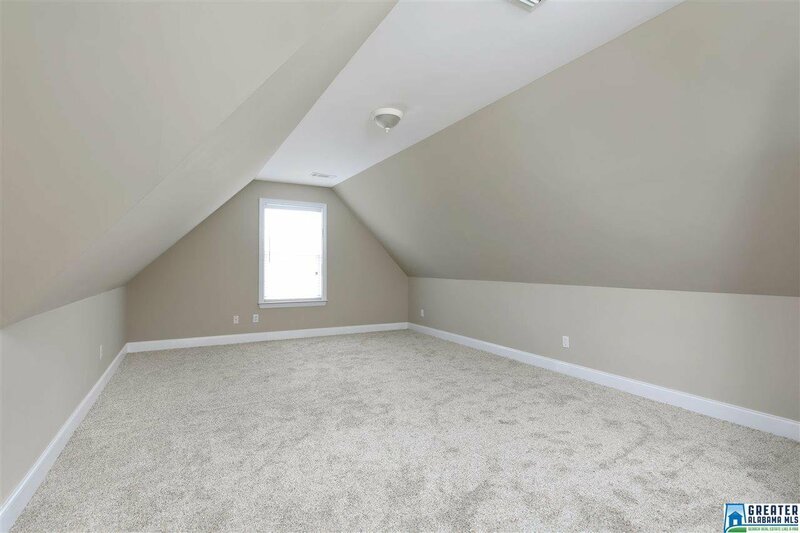 Upstairs perfect for teen or in-law suite and features 4th and 5th bedroom (or den/media/rec room) and full bath. 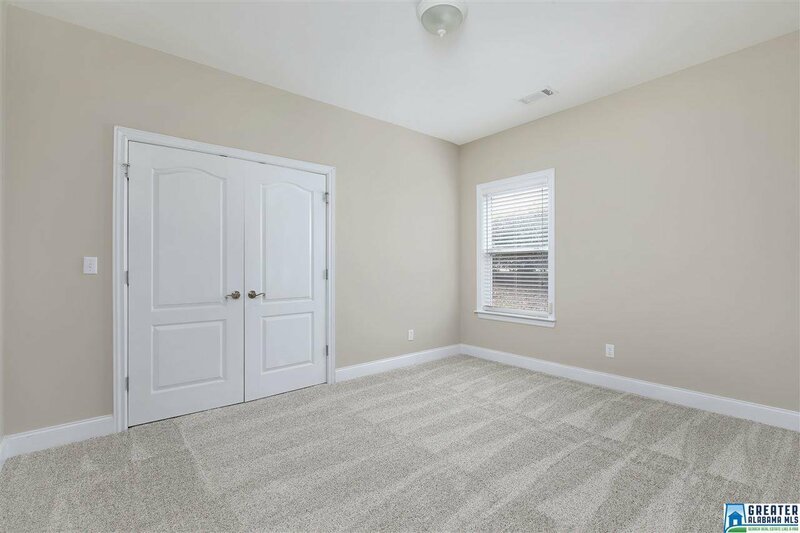 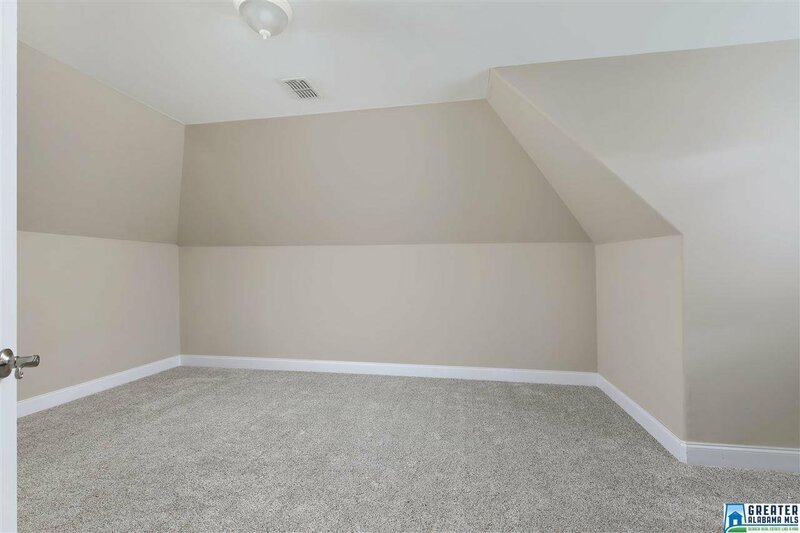 Walk-in attic access w/ floored storage. 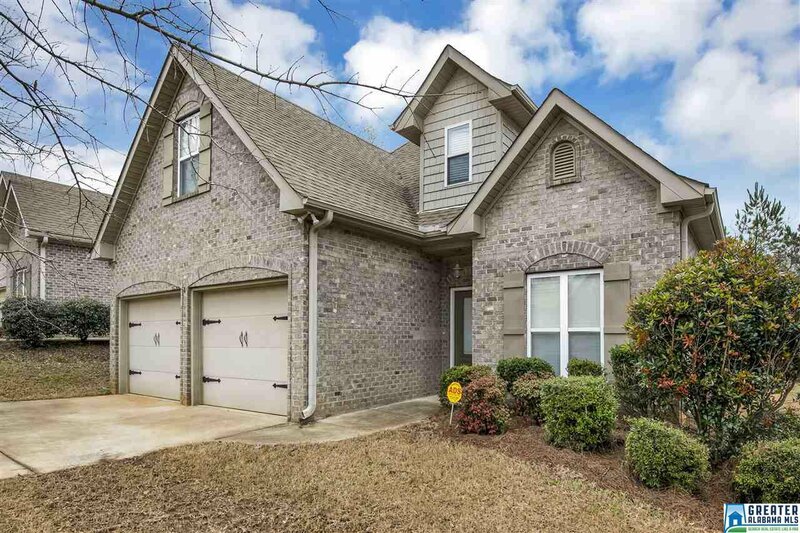 Peaceful, small neighborhood (only 23 homes) with serene mountain and creek views at the cul de sac. 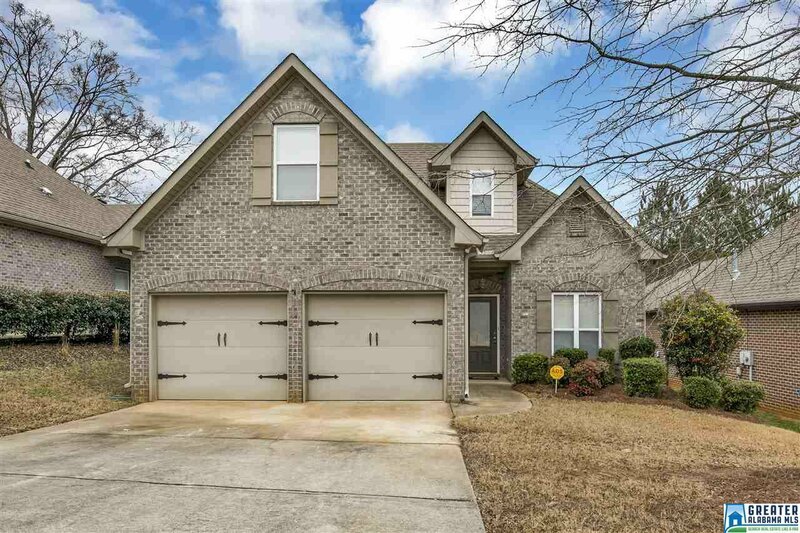 Clay Elementary, Middle, & High school.